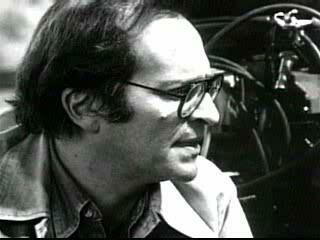 One of America’s finest and most prolific film directors, Sidney Lumet died Saturday. He is destined to be remembered as one of film’s genuine greats, and his work watched avidly in perpetuity, many of his films regarded as classics of the art form. Lumet’s extraordinary body of work includes but is not limited to: The Pawnbroker, Twelve Angry Men, Serpico, Network, Prince of the City, The Verdict, Q & A, Dog Day Afternoon, and Before the Devil Knows You’re Dead. His films considered the preeminent realist portrayals of New York, he was a film maker who presented real dramas, the highest form of drama, human situations in which the moral consequences were concrete and profound. The telling of the stories was electric and tense. His actors so consistently earned nominations and awards because, beyond the actors’ individual gifts, Lumet’s films were scrupulous depictions of character, in their fullness and idiosyncrasy. He was famously exactling in fidelity to the details of place, and certainly so when the setting was New York. I still regard Network as one of the most profoundly funny and consequential comedies ever filmed, and Dog Day Afternoon as perhaps the most perfect film ever made, for the efficiency and economy with which so much substance was delivered in such a misleadingly compact and intense package. Along with Network, it was a clear vision of the transformation of news into entertainment and of celebrity sensationalism. It also is the most vividly accurate depiction of New York City imaginable, and certainly of the post-Vietnam, post-Watergate malaise of the late Seventies. You never know, but it is hard to believe there ever again will be a director who in one film making lifetime delivers such a massive and magnificent body of work, films and stories one truly never forgets and never escapes. So long, Sidney, a sublime artist.